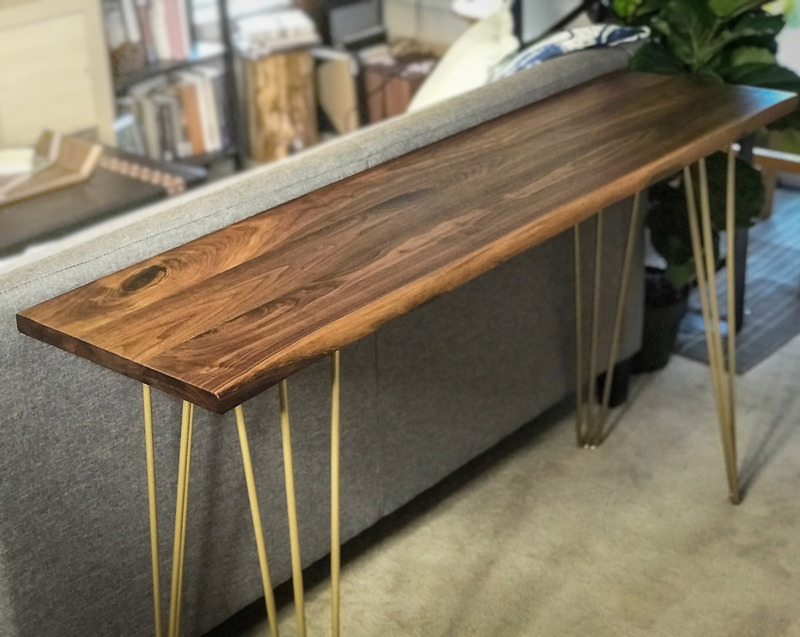 This live edge walnut sofa table is earthy while being modern and sophisticated. 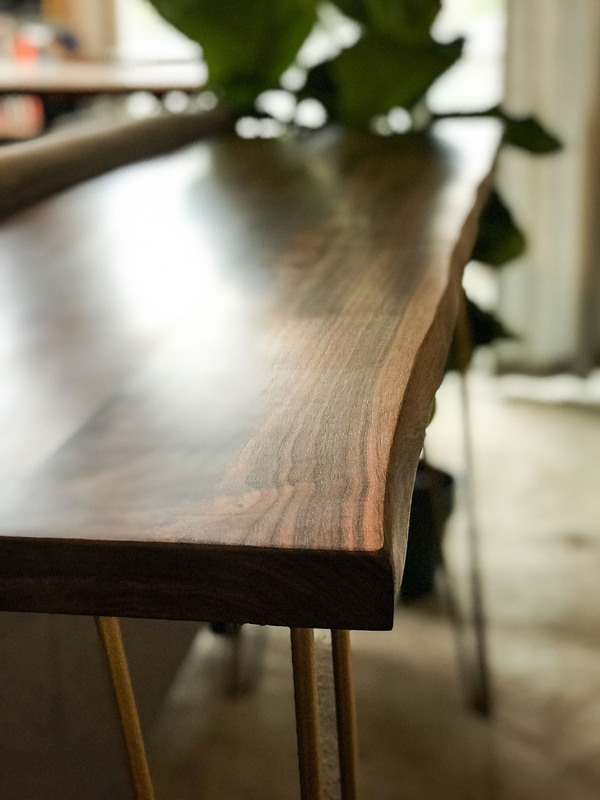 1.5″ thick walnut solid walnut top. Live edge on one side. 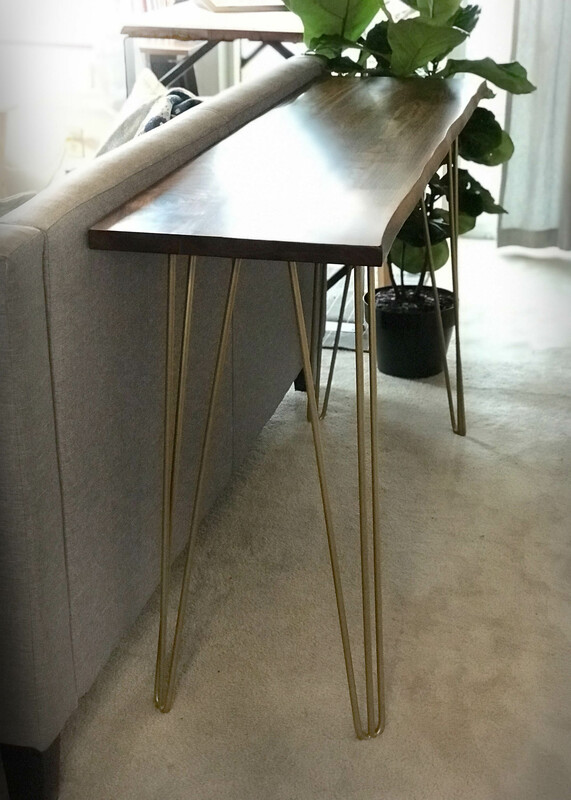 Table top is finished with 100% non toxic and extremely durable OSMO wood finish; resistant to water, food, alcohol, and carbonated beverages. 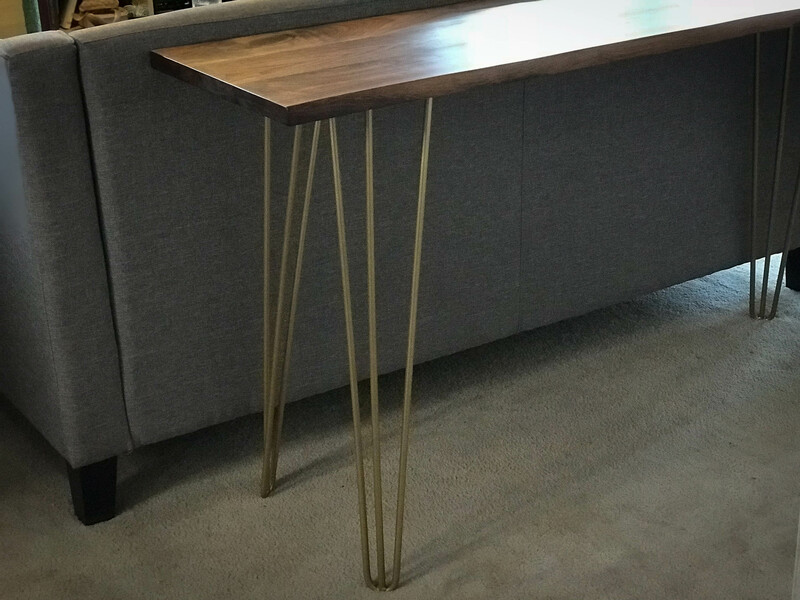 Hair pin legs are brass / gold color powdered coated steel. • Please allow 4-6 weeks for shipping.